While the increasing adoption of cloud and virtualization technologies brings with it untold benefits of scalability, speed, and flexibility, it also ushers in a new set of challenges for maintaining your network’s security. 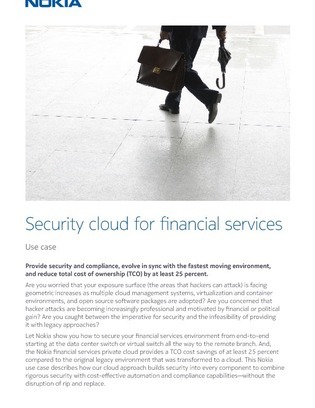 This white paper explores a use case wherein financial services firms can conquer network security challenges within their data centers and overall cloud environments. Learn about a SDN-based approach to delivering a cloud-ready, multilayered security and networking infrastructure.